The 2018 edition of Co-working conference is billed to hold on Thursday 26th July, 2018 at IMAX Filmhouse, Lekki, Lagos. The conference which is an annual gathering of policy makers, entrepreneurs, investors, service providers, including the media and coworking space operators will see stakeholders discuss salient issues affecting the growth and development of co-working spaces in Nigeria. 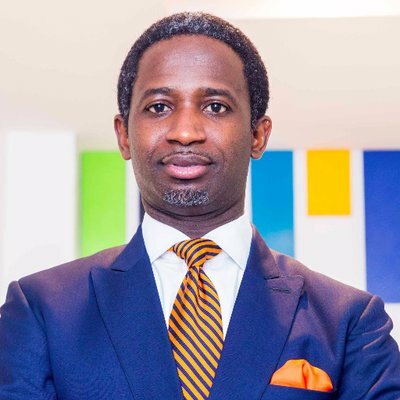 Kola Oyeneyin, CEO, Venia Business Hub and the Creator, Coworking Conference Nigeria, said the Coworking Industry is an emerging force that is shaping the entrepreneurial ecosystem globally. According to him, Co-working Conferences take place around the world, helping to shape the agenda for a better industry. "We are happy to see various stakeholders embracing Coworking and leveraging on its possibilities to drive entrepreneurship. LagosInnovates is one such example of the response to Coworking Conference and we expect to see much more exciting collaborations and initiatives by various ecosystem enablers, " explained Oyeneyin. With the theme Coworking: The Catalyst for Innovation, the conference this year, is aimed at connecting the dots of how coworking, co-creation, collaboration and technology are spurring innovation, entrepreneurship, wealth and job creation, while charting the course for a new economy and the future of work. Speakers include Dr. Omobola Johnson - Partner at TLCom and former Honourable Minister of Communication Technology; Iyin Aboyeji of Flutterwave - Africa's leading payment platform; Kola Aina – Chairman, Ventures Park, and Ola Brown of Greentree Investment Company, amongst others. The conference has grown since its first edition was held in 2017 when Venia Business Hub unveiled the opportunities and value chain of this nascent industry. Oyeneyin further explained that the entrepreneurial ecosystem in Nigeria has seen a fundamental shift since the emergence of Coworking and Tech Hubs, with many leading start-ups tracing their start-up locations to Coworking spaces - including Taxify, Flutterwave, Branch Int’l and AutoGenius, amongst others. Since inception in 2011, the Coworking movement has continued to gain momentum, with a surge in the rise of Coworking spaces across the country and with the Government's emphasis on driving technology and innovation as a means of driving economic growth, as evidenced by the recent working visits by His Excellency, the Vice President of Nigeria, Prof. Yemi Osinbajo to various Coworking Hubs. Speaking on behalf of Access Bank PLC., the official title sponsor of Coworking Conference Nigeria, the Executive Director, Personal Banking Division, at Access Bank Plc. Victor Etuokwu said “Access Bank is recognised as a leading Bank in driving digital banking and fintech innovation in Africa. We seek to create new opportunities in emerging markets by providing a platform designed to inspire and challenge innovators and entrepreneurs, as such we have partnered with Coworking Conference Nigeria and leveraged on our global platform to further foster innovation, drive entrepreneurship as well as economic development”.